Paper Made Bakery: I Ruff You!!! It's me, Piali here...sharing a super cute card with you all. 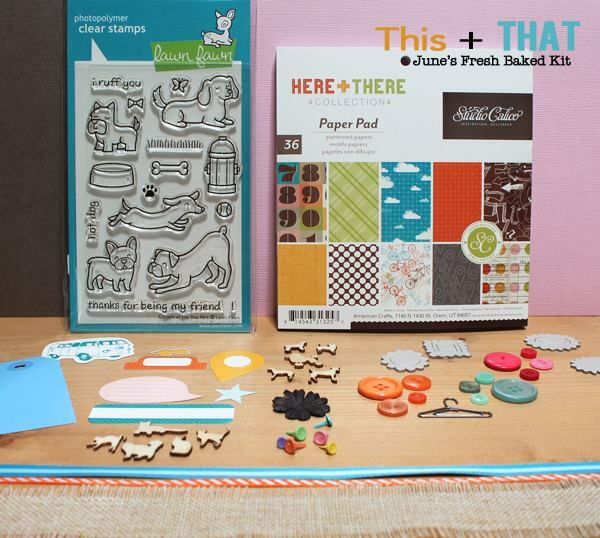 Love the new This + That kit , it's Super Cute!! I used the color blocked paper in the Studio Calico paper pad from the kit. The Lawn Fawn stamp set (also included in the kit) is super fun and easy to work with. If you haven't ordered This + That kit yet ... you can do it HERE. Soooooo love love love this!! LOVING that grid design!! Such a fun design Piali! This is such a fun and fabulous design....sooo adorable! The color blocking is fabulous! So cute - love those pups.